Uninterruptible power supply for monitoring "UBP ST"
The manufacturer of uninterruptible power supply for monitoring "UBP ST" is GLONASSsoft. 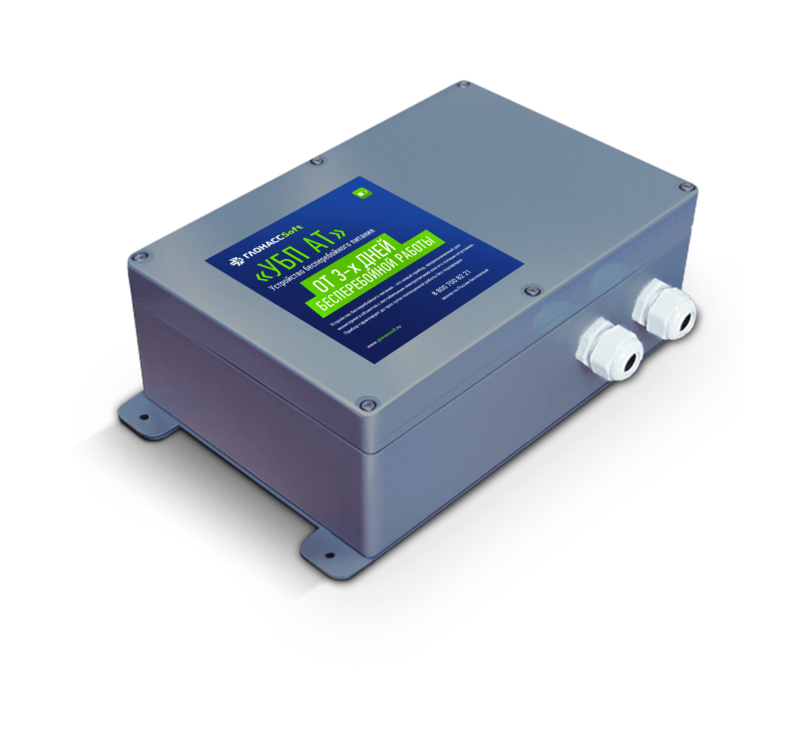 UBP ST is designed to provide monitoring of objects with unstable power supply or its complete absence. The device guarantees up to three days of full-time operation without recharging. UBP ST is a closed plastic structure, on a metal chassis, through which it is attached to the board of the vehicle or on other monitoring object. Inside the structure there is a reinforced battery, a subscriber terminal of a suitable size (for example, UMKa301) and a control panel. The device can be simultaneously connected to three fuel level sensors. This design ensures reliable operation of the subscriber terminal and fuel sensors even when power failure and in the aggressive operating conditions.